His plan didn’t work out. POLICE IN NEW Jersey have arrested a 44-year-old man after it emerged he assumed his brother’s identity to avoid paying $7,500 (€6,800) in unpaid tolls. Richard L Boyce was charged with wrongful impersonation, theft, hindering apprehension and cocaine possession. According to NorthJersey.com, when Boyce was pulled over on the George Washington Bridge during the week he had no documents for the motorcycle he was riding. Police found several plastic bags containing suspected cocaine in his pockets. He was later released and will appear in court at a later date. Port Authority Police spokesman Joe Pentangelo said Boyce produced a fictitious ID with his photo and his brother’s name. Associated Press said it isn’t clear if he has a lawyer who can comment on the charges. Email “Man pretends to be his brother to avoid €7k in tolls, gets busted with cocaine”. 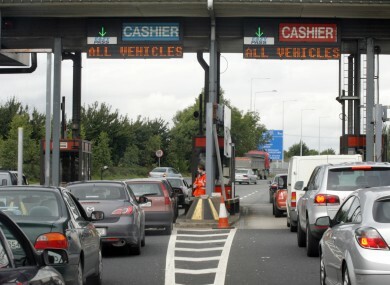 Feedback on “Man pretends to be his brother to avoid €7k in tolls, gets busted with cocaine”.